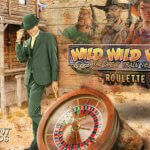 Live Roulette is one of the most popular live casino games at the NetEnt Casinos. The spin of the wheel, the flick of the ball and the rush of placing your bets, that is exactly what makes it exciting! Yako Casino manages to make Live Roulette even more exciting with a €1,000 reward for whoever manages to beat the Live Roulette Challenge. Live Casino Roulette at its best! 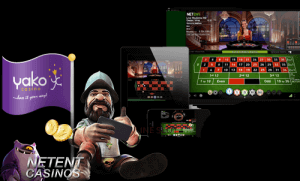 Live casino excitement without leaving your home isn’t new anymore as Live Casino Gaming has been around for almost a decade with NetEnt as a true pioneer. Innovation has always been a priority for NetEnt and the company has never been scared to come up with a new type of gaming or push innovations for a gaming type like Live Casino Gaming. 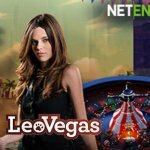 With NetEnt around, you know you have access to an innovating Live Casino offering an enriched player experience. 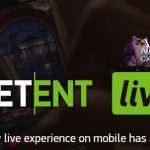 The software developer recently launched its first mobile live casino under the name NetEnt Live, bringing you the mobile live casino experience as well. While I assume that Yako Casino has a number of Live Roulette Games available from different suppliers, I can highly recommend NetEnt’s Live Casino Roulette. NetEnt’s Live Roulette has been a game changer in the world of Live Casino with an easy-to-use interface, outstanding streaming, and perfectly synchronized audio and video to guarantee a seamless live casino experience. As one of the most played table games in both online casinos and offline casinos, Live Roulette can’t be missed in any NetEnt Casino. To make your Live Roulette experience more excited, you can choose between European Roulette and French Roulette. Enjoying one of the most popular casino games around, you’ll be assisted by the so-called live croupiers or live dealers. 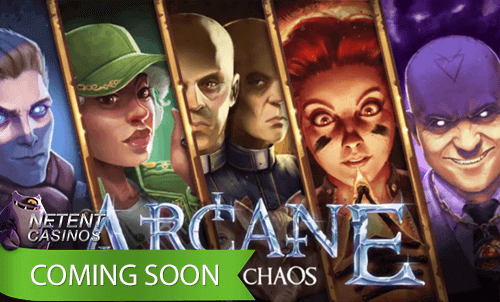 They have the task to deal your cards while playing Live Blackjack, but when in charge of the Live Roulette, they are the ones that can make your dreams come true when the wheel starts to turn and the ball being added to the game. And if this same ball lands on number 2 or 22, you might be even luckier if some of your chips have been placed on one or both these numbers. If you have an account at YakoCasino, or you are about to become a player at this NetEnt Casino, make sure you don’t miss out on this month’s YakoChallenge which will be available until the 31st of October 2018. 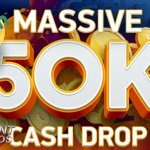 No matter if you’re new to Yako Casino or you have been loyal to them for years, if you beat this month’s challenge, you can make a few extra bucks. Up to €1,000 to be exact and all you have to do is to play Live Casino Roulette at Yako Casino with real money to beat the challenge. If you do so, I can highly recommend to place your bets on the numbers 2 and/or 22. It’s obvious that these two numbers are the way to go this month at Yako Casino, at least until you beat the challenge. This is because you can beat the challenge once. After that, you’ll receive normal payouts when the numbers 2 or 22 will be covered by the roulette ball. 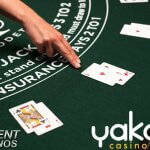 Play Live Roulette at Yako Casino this month and you might win up to €/$/£ 1.000 extra! Place a straight bet on number 2 or 22 and see what happens. If you get lucky, all of your winnings from that particular bet will be doubled up to a maximum of €/$/£ 1.000! You can play Live Roulette at any time convenient for you, as long as you place a straight bet on number 2 or 22 on a Live Roulette game at Yako Casino. Also, make sure that you play with a minimum bet of €/$/£ 10 which means you place at least €/$/£ 10 on the numbers 2 and/ or 22. Of course, only real money bets count towards this Live Casino Challenge. When you manage to beat the Live Casino Challenge, make sure you write down the exact time and date of your winning game round and contact their customer support team straight away so they can add your extra winnings to your account after a successful verification.